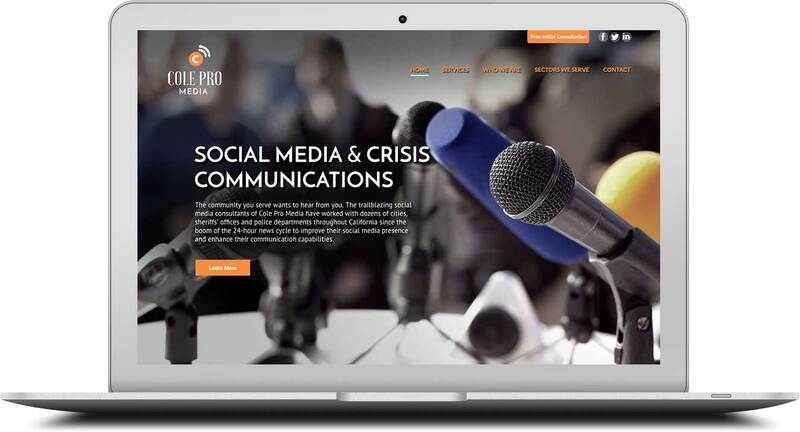 Cole Pro works exclusively with public entities that have timely, and often sensitive, information to share with their communities; this a highly niche but also critically important aspect of the social media universe. Our job was to create a fresh new website to promote Cole Pro’s services as well as outline marketing and communications strategies for the future of the business. In order to fully understand the details of this multi-layered organization, we conducted an initial strategy session with the company’s founder. This session allowed us to lay down a language and positioning basis that would in time serve as the foundation for a website redesign, a new logo, extensive copywriting, and additional graphic design of marketing assets. Comparing June, 2017 to September, 2017, our new website increased the number of users to the site by 38%. The aesthetics and usability of the site are also greatly improved, to the thrilling response of both our client, and our client’s clients.